The virtual currency floating around the world of Zynga's social game FarmVille is actually doing some social good. The company announced on Tuesday it has contributed $487,500 towards the welfare of children in Haiti. “The sheer scope and reach of social gaming to affect people’s lives in a positive way wasn’t even a reality a few years ago. Today, with ‘social goods,’ we are enabling players to unlock their power to change the world and impact the lives of children. ‘Sweet Seeds for Haiti’ is an early step for Zynga with more to come," shared Marc Pincus, founder and CEO of Zynga. 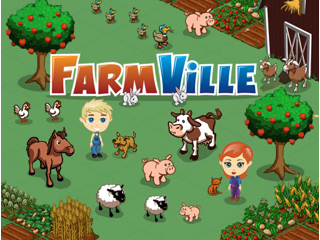 In case you're not familiar, FarmVille is an online game that exploded in popularity in the last few months. Back in September, Zynga hit 100 million users across its games due largely in part to the success of Farmville. And it may look like an innocent and childish game aesthetically, but FarmVille actually has a flowing virtual goods market which allows its users to purchase in-game cash and coins with their credit cards. The items - virtual crops, seeds, tractors, etc. Under Zynga's "Sweet Seeds" initiative, users can purchase special sweet potato seeds, of which 50 percent of profits are donated to non-profit organizations in Haiti. Those being FATEM.org and FONKOZE.org. FATEM said Zynga's contributions have already provided education for 500 children in Mirebalais. Zynga has actually experimented with a similar social goods program in the past with its YoVille game. It sold virtual bulldogs and tabby cats as in-game pets to raise money for San Francisco's SPCA. All in all, I always thought virtual goods were a complete waste of money, but with programs like these in place I'd be much more inclined to buy myself a new virtual sword or magic spell if I knew it was for a good cause. It's great marketing for Zynga as well, giving the gaming giant a good face in society and putting it up there with gaming companies already donating to charities like GamesThatGive and Freerice.com.